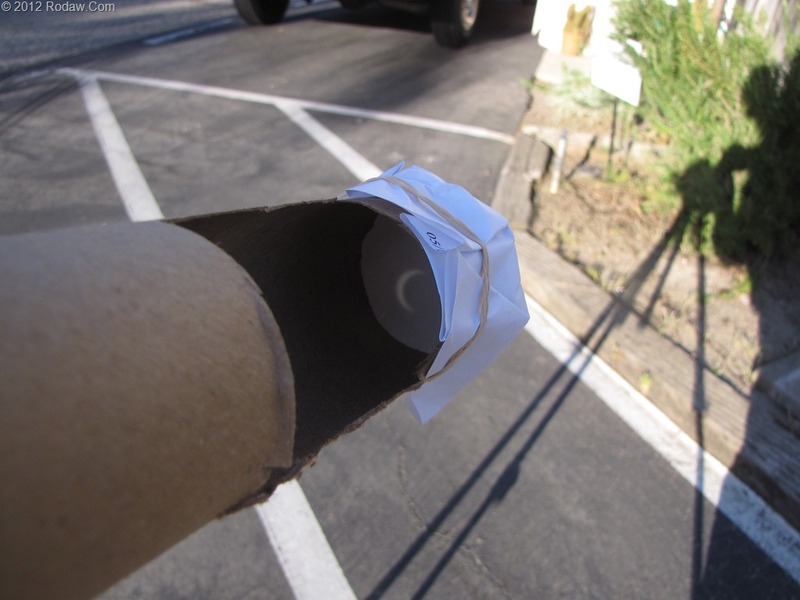 As a break to reading about XAML data binding in Windows 8 Metro applications I decided to make a solar observing telescope for the upcoming Eclipse around 5:30PM here at my Mom’s home in Los Angeles. 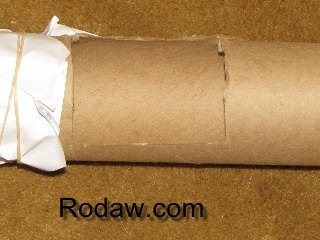 I raided the Christmas supplies for a couple elongated toilet paper rolls. One slightly less in diameter than the other. 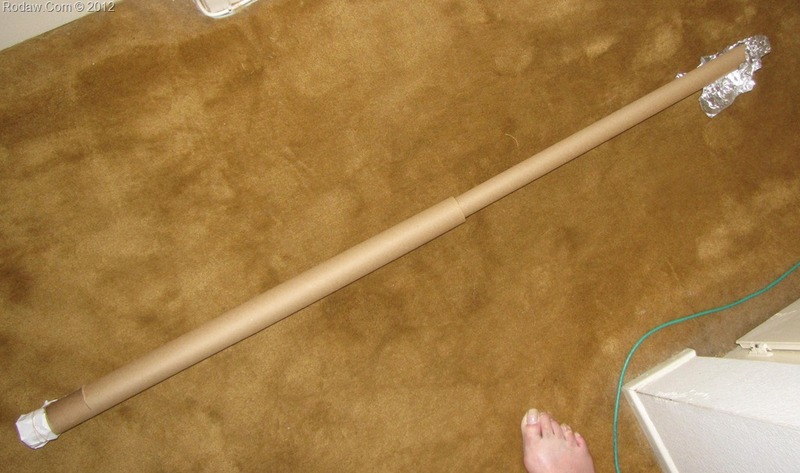 I created a shim between the two with some thick packing paper to keep the tubes relatively aligned. 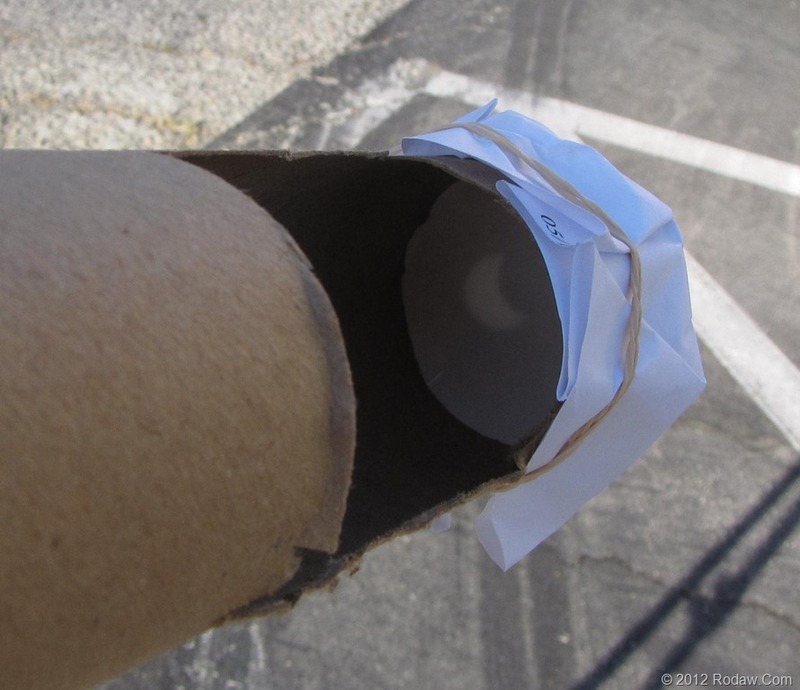 Then I cut a viewing hole at the bottom and used a couple rubber bands to hold a piece of paper on one end and some aluminum foil on the other. I pierced a pin hole in the aluminum foil. I may attempt a darker paper on the viewing end. My creation note the rubber band mounting to the tripod head. I left the shadow for an artsy look! Fun. 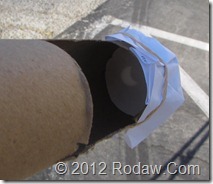 Didn’t take that long to construct, and it’s not every day you get to experience an eclipse. Next time I want to get a long piece of PVC. I found a couple useful resources out on the ‘net. http://shadowandsubstance.com/ Nice track of the center line of the Eclipse geo located. 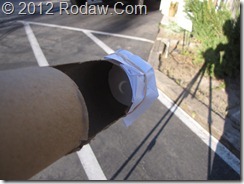 http://www.exploratorium.edu/eclipse/pinhole3.html Some viewer construction enlightenment.